Originally from Regina, Saskatchewan, Donny Kennedy moved to Montreal, Quebec in 1995 to pursue a jazz performance degree at McGill University. 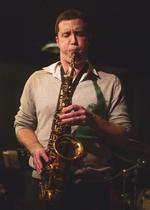 After graduating with high distinction in jazz saxophone, Donny continued his studies at McGill.He was awarded the graduate level entry scholarship to pursue a Master of Music in Jazz Performance.Donny received his Master’s degree in April of 2001. Donny leads and composes for his own Sextet.The Donny Kennedy Sextet toured Mexico as part of Festival Internacional Cervantino.This group was also nominated for the GM Grand Prix de Jazz at the Montreal International Jazz Festival in 2003.In 2001, the group was chosen as one of five groups to perform in Toronto as part of a Canada Council initiative to promote emerging Canadian jazz artists.The group has released one recording entitled Horizons.The disc features original compositions by Kennedy.Donny has also recently embarked on a new quartet project (The Kennedy/McLeod Quartet).This group has one released recording entitled, Belaney’s Secret. Donny teaches at McGill University’s Schulich School of Music and St. George’s School of Montreal.At McGill, he has taught Basic Jazz Arranging, Jazz Saxophone, Jazz Materials, Basic Materials of Jazz, Jazz Orchestra III, Jazz Philosophy and Instruction, Graduate Jazz Pedagogy and Jazz Combo.He is also the Jazz Combo Coordinator at McGill University.Kennedy has also taught Saxophone at Bishop’s University.He has also directed the Jazz Ensemble at Camp Musicale d’Asbestos (English session) and is a regular faculty member of the annual Prairielands Jazz Camp in Regina, Saskatchewan. Donny remains active as a freelance musician, clinician, and teacher in Montreal and Canada.He has performed with Kevin Dean, Andre White, Kirk MacDonald, Joe Sullivan, Remi Bolduc, Josh Rager, Steve Kaldestad, Janis Steprans, Kieran Overs, Christine Jensen, The Montreal Jazz Big Band and many other local musicians.He is also a member of the Min Rager Quintet.This group has recorded two CD’s entitled Bright Road and First Steps. Donny also plays lead alto saxophone in both the Joe Sullivan Big Band and the Juno award winning Christine Jensen Jazz Orchestra. Jazz trumpeter Derrick Gardner, inspired by the finest hard-blowing funky bop bands of the 1960s, is working to extend that great tradition as a performer, composer and arranger. 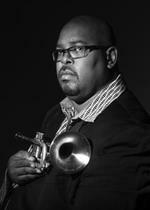 Derrick quickly made his mark on the New York City jazz scene after arriving in the Big Apple in 1991. It has enabled him to travel the world playing top-flight jazz –including five years in the Count Basie Orchestra (1991 to 1996 plus occasional guest appearances that have continued into 2014), as well as work in Frank Foster’s Loud Minority Band, Harry Connick Jr.’s Big Band, The Smithsonian Jazz Masterworks Orchestra and Swiss tenor player Roman Schwaller’s European sextet. Derrick formed his own sextet, The Jazz Prophets, in 1991, and 26 years later it continues to be the primary vehicle of his distinctive, hard-driving music. Derrick’s latest recording by The Jazz Prophets, "Echoes of Ethnicity," marked his second Owl Studios release in April '09 and was named by Music Resource Group (MRG) as the winner in the 9th annual Independent Music Awards, the influential awards program for independent bands and fans, for “Best Jazz Album 2009.” This prestigious award adds to the long list of accolades “Echoes of Ethnicity” has received in 2009. Like his two previous recordings, "A Ride to the Other Side" and "Slim Goodie," it bubbles with the long-standing collective’s sheer love of the soulful, funky jazz sound for which Cannonball Adderley and Horace Silver built solid foundations with their 1950s and ‘60s ensembles. Only they’re taking that sound into new, invigorating territory. The band’s three-man horn line, consisting of Derrick, tenor saxophonist Rob Dixon and Derrick’s brother, trombonist Vincent Gardner has been together since the very beginning. In addition to his own recordings, Derrick has performed on multiple recordings with the Count Basie Orchestra, including the Grammy-winning The Count Basie Orchestra Live at Manchester Craftman's Guild, with the New York Voices in 1997, and four sessions with Harry Connick Jr., including 2007’s Hurricane Katrina-inspired Oh, My Nola. His work has brought him to Europe, Scandinavia, Russia, Japan, South Africa and Thailand as well as many premier venues in the United States, working with a tremendous litany of artists that includes late Dizzy Gillespie, George Benson, Frank Foster, Joe Williams, Rufus Reid, Kenny Baron, Stefon Harris, James Moody and Clark Terry. 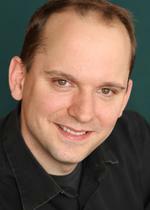 Since 2011, Derrick has served on the jazz faculty at the University of Manitoba Desautels Faculty of Music in Winnipeg, Manitoba where he was appointed to the Babs Asper Professorship in Jazz Performance. He is director of the University of Manitoba Jazz Orchestra and Associate Professor of Jazz Trumpet. Conductor Robert J. Ambrose enjoys a diverse career as a dynamic and engaging musician.His musical interests cross many genres and can be seen in the wide range of professional activities he pursues.Ambrose studied formally at Boston College, Boston University, and Northwestern University, where he received the Doctor of Music degree in conducting.Ambrose has conducted professionally across the United States as well as in Australia, Canada, Finland, Germany, Greece, Hong Kong, Singapore, and Taiwan.His interpretations have earned the enthusiastic praise of many leading composers including Pulitzer Prize winners Leslie Bassett, Michael Colgrass, and John Harbison.He has conducted over three dozen premiere performances including works by Jean Sibelius, Michael Colgrass, Jonathan Newman, Joel Puckett, Christopher Theofanidis, and Joseph Turrin.In October, 2016, Dr. Ambrose was invited to spend a week on tour as a guest conductor with the United States Army Field Band. Ambrose is the only civilian in history to be invited to guest conduct a premiere American military band on tour. Dr. Ambrose is founder and music director of the Atlanta Chamber Winds.Their premiere compact disc, Music from Paris was released on the Albany Records label and received outstanding reviews in both Fanfare Magazine and Gramophone Magazine.He is also founder and music director of the National Chamber Winds, based in Washington, DC.Ambrose is a prolific arranger with seven published wind band transcriptions to his credit.His arrangements are published by C. Alan Publications, Sannabelle Publications, Fennica Gehrman (Finland), and Edition Tilli (Finland). His transcriptions appear on several state music lists and have been performed around the world.As a guitarist Ambrose has performed in dozens of jazz ensembles, combos, rock bands and pit orchestras. His rock band “Hoochie Suit,” formed with members of the Chicago Symphony Orchestra, received rave reviews throughout the Chicago area. 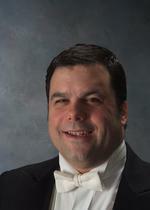 Ambrose currently serves as Director of Bands, Professor of Music and Associate Director of the School of Music at Georgia State University, a research institution of over 57,000 students located in Atlanta, Georgia.As Director of Bands he conducts the Symphonic Wind Ensemble, leads the graduate wind conducting program, and oversees a large, comprehensive band program. Jacqueline Dawson received undergraduate degrees in music and music education from Memorial University of Newfoundland and holds a masters degree in conducting from the University of Manitoba where she studied with Dale Lonis and Earl Stafford. She has attended the Conductor’s Art Symposium at the University of Wisconsin, Madison, The Art of Wind Band Teaching at the University of Minnesota and completed the Canadian Wind Conductor’s Development Program in Winnipeg. She recently began studies towards a Doctor of Musical Arts in conducting at the University of Kansas. Jacquie is currently Assistant Professor and Director of Bands at the University of Manitoba Desautels Faculty of Music where she conducts the Concert Band and Wind Ensembles, teaches courses in music education and graduate conducting. She also serves as Faculty Advisor for music education student teachers. Prior to her appointment at the University of Manitoba Jacquie taught in the public school system for twenty years and served as a sessional instructor at the University of Manitoba. Jacquie is in demand as a guest conductor, clinician and adjudicator across Canada, appearing at numerous festivals and conference coast to coast. Engagements have included Musicfest Canada, the Winnipeg Symphony Orchestra New Music Festival, the International Music Camp, and numerous provincial, regional and divisional honour bands extending from Newfoundland to British Columbia. Jacquie was awarded the 2003 University of Manitoba School of Music Excellence in Music Education Award, the 2013 University of Manitoba Teacher Recognition Award and the 2015 Manitoba Band Association Award of Distinction. She has been published in the Canadian Music Educator Journal and the Canadian Winds Journal. Jacquie has presented at conferences in Newfoundland and Manitoba as well as the Canadian Music Educators’ Association National Conference. Jacquie served on the board of directors of the Manitoba Band Association from 1999 – 2005 and remains active with numerous projects and initiatives. Jacquie is in her 10th season as Artistic Director of The Winnipeg Wind Ensemble. Under Jacquie’s leadership the group has expanded in infrastructure, artistic standard and programming, and recently launched a new division of the organization, The Winnipeg Youth Wind Ensemble. In October 2017, The Winnipeg Wind Ensemble in conjunction with an international consortium commissioned and premiered Transcendent Light by Canadian composer, Kenley Kristofferson. Jacquie continues to spend as much time as possible with young students and band programs and is a strong advocate for music education. Dr. Smart is the Director of Bands and Trumpet at the University of Montana where he conducts the Symphonic Wind Ensemble, teaches applied trumpet, undergraduate and graduate conducting, music education courses, and supervises student teachers.Under his direction, the Symphonic Wind Ensemble twice been selected to perform at the Western/Northwestern Region College Band Directors National Association Conference (Reno, NV, and Rohnert Park, CA) and for the NAfME All-Northwest Conference in Portland, OR.For outreach to the greater musical community, Dr. Smart organizes and conducts the UM All-Star High School Wind Ensemble Festival that has attracted students from five states and Canada, the UM Concert Band Festival, and the annual UM Summer Music Camp.Dr. Smart is also the founder, producer, and co-conductor of the annual Fusion Concert where over 25 acts showcase the diversity of the UM School of Music in one seamless stream of music. Dr. Smart holds a Bachelor of Music in Trumpet Performance with teaching certification from the University of Michigan and a Master of Music Education and Doctor of Musical Arts in Conducting from Arizona State University.During his time at ASU he served as acting associate director of bands, acting director of the Arizona Contemporary Music Ensemble, co-music director of the ASU Lyric Opera Theater for the Western U.S. premier run of Joseph Turrin’s Scarecrow, and guest conductor on several occasions with the ASU Sinfonietta Orchestra.Dr. Smart’s conducting teachers include Gary Hill, William Reber, H. Robert Reynolds, Timothy Russell, Kevin Sedatole, and James Tapia. He has continued his conducting studies in workshops with Michael Christie, Michael Gielen, William Larue Jones, Kenneth Kiesler, Craig Kirchhoff, Allan McMurray, and Franck Ollu. As a trumpet player, Dr. Smart studied with Charles Daval, Ramon Parcell, and Kevin Good.He has also studied in lessons and master classes with Charlie Butler, Allan Dean, Charles Gorham, Armando Ghitalla, and Charlie Schlueter. Dr. Smart has performed with the Missoula Symphony, Orchestra of Southern Utah, North Idaho Symphony, Arizona Contemporary Music Ensemble, and several collaborative faculty and chamber performances at the University of Montana and Southern Utah University. Dr. Smart was one of two conductors chosen to participate in the International Ensemble Modern Academy in Schwaz, Austria and study under the tutelage of conductors, Michael Gielen and Franck Ollu, as well as the musicians of Ensemble Modern. The experience resulted in two public performances with IEMA members from 30 conservatories across the globe at the Klangspuren New Music Festival in Schwaz and Innsbruck, Austria. Dr. Smart is in demand as a conductor and clinician having performed/presented in Austria, China, Alberta, Arizona, California, Idaho, Manitoba, Montana, Michigan, Nevada, New Mexico, Ohio, Ontario, Oregon, Texas, Washington, and Utah.He has also presented at several state NAfME affiliate conventions as well as the CBDNA National Convention.He is a member of NAfME, International Trumpet Guild, the Montana Bandmasters, and is Vice President of the Northwest Region of the College Band Directors National Association.Other conducting experiences include the International Ensemble Modern Academy (Schwaz, Austria), Conductors Retreat at Medomak (Washington, ME), Concordia Santa Fe (Santa Fe, NM), Orchestra of Southern Utah (Cedar City, UT) the International Workshop for Orchestral Conducting (Graz, Austria), and the Band Conductors Art Symposium (Ann Arbor, MI).Dr. Smart taught public school in Lapeer, MI.